The school has adopted Norfolk’s Policy on equal opportunities that ensures all children have access to a broad and balanced curriculum. Nursery (FS1) and Reception (FS2) children follow the Early Years Foundation Stage Curriculum which identifies Early Learning Goals. Children will work towards achieving these goals by the end of their Reception year. The children progress towards these goals by way of a series of developmental phases, and planned learning opportunities are linked to these steps. Play is a powerful medium for learning and forms a sound basis for later teaching and learning. Through this play based curriculum, your child will have the opportunity to develop and use intellectual, communication, social, and physical skills. The children will have a balance between teacher directed and child initiated activities during each session. 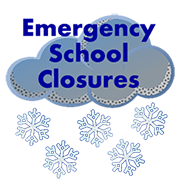 All children will be encouraged to share in all activities, and these will be tailored to suit individual needs.The children will also be given an opportunity to take part in a variety of outdoor activities on a daily basis. 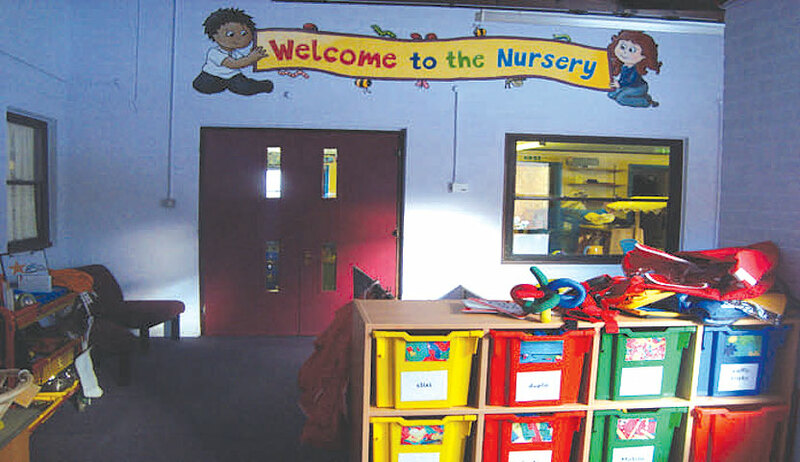 The learning for Foundation Stage children is divided into seven areas, 3 prime areas and 4 specific areas. The children are encouraged to establish and develop effective relationships with children and adults, to take turns and share, to develop confidence and independence, to be sensitive to the needs and feelings of others, to treat living things, property and the environment with care and concern, to express their feelings and behave in an appropriate way, and to show respect for people of other cultures and beliefs. Childrenwill be provided with opportunities to talk and communicate in a wide range of situations. 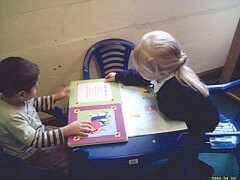 They will be encouraged topractice, extend and enrich their range of vocabulary and the communication skills they have. The children will be supported to develop their listening skills. Children will be able to improve their fine manipulative and co-ordination skills by using a range of equipment, materials, and tools which encourage careful control. They will practice running, jumping, climbing, balancing, and using large and small apparatus, which will encourage them to move confidently with increasing control and awareness of space and safety.Children will begin to understand how their bodies work and what they need to do to be healthy and safe. 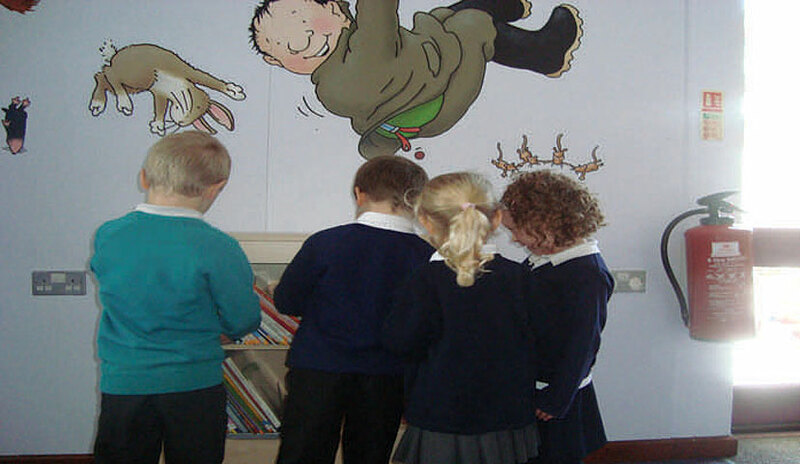 Children will be encouraged to use, share and enjoy books and to join in with poems and rhymes. They are taught to write and draw with increasing control, and learn to recognise and write letters, words and symbols, and to write their own names. FS1 and FS2 children are taught sound recognition through Read, Write Inc. This is continued and extended as the children enter Key Stage 1. Children will be helped and encouraged to develop their understanding of number, measurement, pattern, shape and space and use the mathematical language that goes with this. They will experience a wide range of activities and opportunities for children to explore, enjoy, learn, practice and talk about these concepts. Children will be encouraged to talk about where they live, their environment, their families, and about past and present events in their own lives. They will look closely at similarities and differences in natural and man-made things, and will observe, ask questions and suggest explanations for what they see. They will learn to choose materials and use tools appropriately to make things, and will develop basic ICT skills, using computers, interactive whiteboards, programs and programmable toys linked to the curriculum. Children will be given opportunities to represent their ideas by drawing, painting, and using a wide range of material. They will explore colour, shape, texture, form, and space. They will listen to, and make music, and will be encouraged to use their imagination when playing and exploring.